There reaches a point in any painting that you can’t take it any further. Many times the whole thing has collapsed under weight of the decisions made during the creation of the work. Other times you just know enough is enough. Well I think I have reached that point with this. No more tinkering…honest! 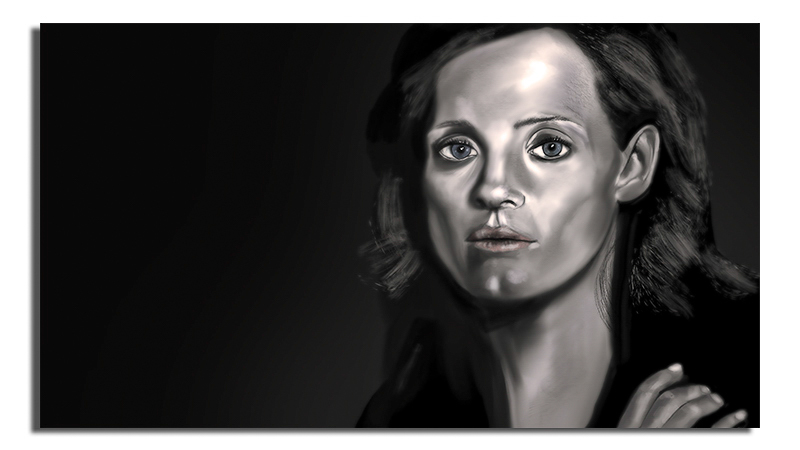 This entry was posted in Apple Pencil, Art, Digital Painting and tagged Apple Pencil, Digital Painting, Jessica Chastain, portrait, Procreate, woman. Bookmark the permalink.